WOW JUST A FANTASTIC JOB!! Abbi has just arrived at UW Madison for her freshman year. But on her second day, she wakes up to a different world: 1983. That is just the first stop on Abbi's journey backward through time. Will is a charming college freshman from 1927 who travels forward through time. When Abbi and Will meet in the middle, love adds another complication to their lives. Communicating across time through a buried time capsule, they try to decode the reason for their travel, solve a family mystery, and plead with their champion, a kindly physics professor, to help them find their way home. This pause-resisting story full of romance, twists, and delightful details about campus life then and now will stay with listeners long after the audiobook's satisfying end. 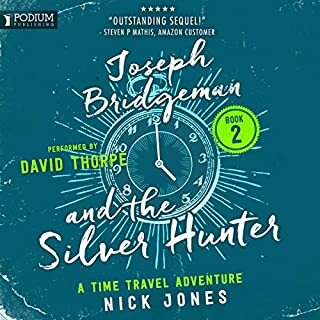 I requested and received a copy of this title from AudioBoom in exchange for an objective review, and I am delighted to have found such a wonderful audiobook. The performance was pitch-perfect, and the story was terrific. The book's description on Amazon includes a School Library Journal recommendation for grade 9 and up. I am far, FAR beyond that, but I was completely engrossed. 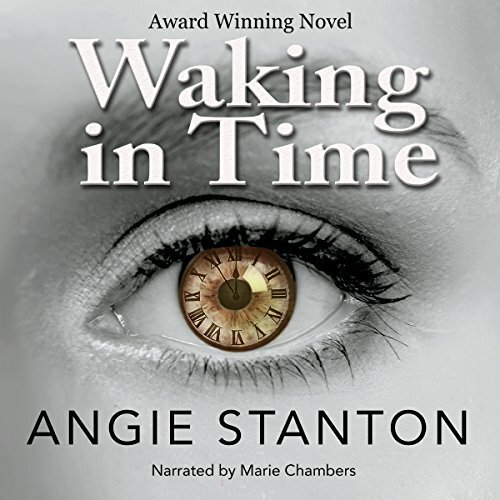 Nothing in the genre since the Time Traveler's Wife, which I read many years ago, has really excited me, but Waking in Time did just that, and I didn't want to see it end. Abbi, a newly arrived university freshman, finds herself continually waking up in her bed, in the same dorm, in progressively further dates back in time. One needs no familiarity with the university described (U of WI in Madison) to appreciate the well-researched and beautifully described changes in landscape, culture, and mores throughout a hundred-odd years of history, but all of that is secondary to an extraordinarily well-crafted story with just the right amounts of suspense, frustration, and romance. 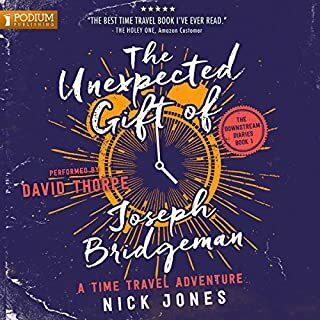 I have the title in my audiobook library, but I've just purchased a paper copy to share with friends and family and have to go back to again in the future--it's really that good. This story is going to be one that I read / listen to multiple times. The story was amazing, and the authors note at the end - what a nice surprise! I can't wait to re-listen! 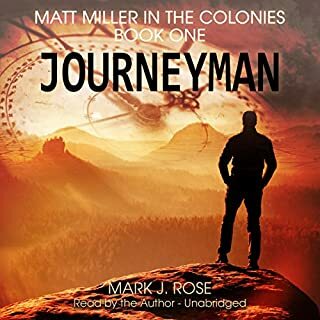 I was provided a copy of this story from audiobookboom at no charge in exchange of an honest review. I'm so glad I was given the opportunity! This story follows Abbi, a new college student who finds herself waking up every morning in her room but back in another time in history. Will, a student from waaaaay back in 1927, is in a similar situation although going forward in time. They meet during their travels in time, and find love and mystery along the way. 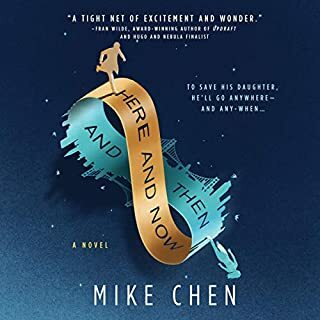 I liked the authors take on time travel, I found it really intriguing and I wondered how she is going to solve the characters problem. There is also a twist towards the end that I did not see coming. I could not stop listening, I lost track of what was happening around me, this book help me utterly captivated, five stars is not enough! Abbi was an enthralling character, she was so relateable, and likeable. Then Will appears and things get even better. I don't want to give too much away, but, the ending is so perfect, it makes the whole book come together and left me with a warm, satisfied feeling. I loved the descriptions of the different time periods Abbi ends up in and all the interesting people that she meets. Marie does a great job with the narration, there are so many character voices and they're all different and distinct. The delivery conveyed emotion and enhanced the tension in the book. If you found yourself waking up in another time, how would you deal with it? I loved the easy flow. Strong storyline. I found myself wanting to be there with her. I want more of this! Angie Stanton wrote a wonderful book. Marie Chambers brought it to life. I was given this free review copy audiobook at my request and have voluntarily left this review. On Abbi's 2nd day of college, she wakes to a different era, 1983, the first stop on her journey back in time. Will, a charming student from 1927 only travels forward. When they meet in the middle, love complicates matters. Communicating via buried time capsule, they try to find the key to their travel, solve a mystery, and plead w a kindly physics professor, to help them get home. But can they find each other again? Family, Mystery & A Love Story Across Time. I wasn't sure I was going to like this book, but it drew me in and never let me go. A different type of Time Travel story, something like Time Traveler's Wife. Yet it had a uniqueness that was fresh and different. The characters had substance and you could feel their emotions. This was also about the strong connection between the ones we love and the ones we lost..and rediscover in ways one could never imagine. Well written, but not the exciting time travel story I was hoping for. There are a few holes in the time travel logic that just never made sense. Specifically, why does the professor always know the MC is bouncing around time and doesn’t belong, but everyone else in every time is oblivious? 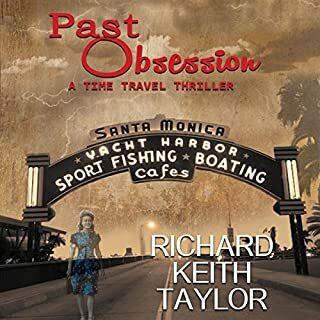 This book sounded interesting as I enjoy almost all time travel related stories. I am about 1/2 done and the story so far is decent. Not great, but I am enjoying it enough during my morning/evening commute. My only problem is the absolutely awful audio performance. When the narrator is in 'Narrator Mode', she is fine. But when she is speaking the lines of one of the characters... let's just say it's a cringe-worthy listen. It reminds me of either watching an elementary school play or no-name actors in some cheesy sci-fi B movie. Very stiff, incorrect emotion -- if any...just bad. In addition the narrator barely changes her voice from character to character. I even had trouble telling the protagonist and her boyfriend apart at times. This book really grabs your attention. I started off thinking that the book was about college kids and probably targeted to young adults and, thus, would be immature. Nothing is further from the truth. The plot is thick with mystery and intrigue, unexpected turns, carefully placed details and wonderful characters. While it is a romance as well, it is so much more. The attraction between Abbie and Will is easy. The complexity lies in the fact that one is traveling forward in time while the other is traveling backwards. They need to find each other and find the key that is causing the time travel. Much easier said that done. 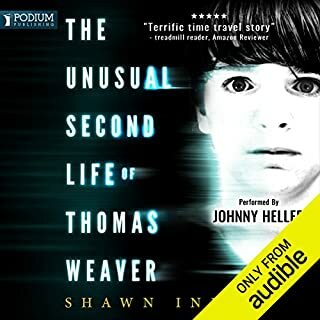 This audiobook was thoroughly enjoyable. It rates high on the adventure, mystery and romance scales. The biggest downside is that once you start, you won't want to stop!! I enjoyed very much listening to this book, a sweet love story without any bad language or smutty bits. The story kept me interested from start to finish. Beautifully narrated.